The massively popular 'PUSH - The Talking Trash Can' character is no longer appearing at the Magic Kingdom. PUSH, who would follow and chat with guests in the Magic Kingdom's Tomorrowland, made his final performance on 2/8/2014. 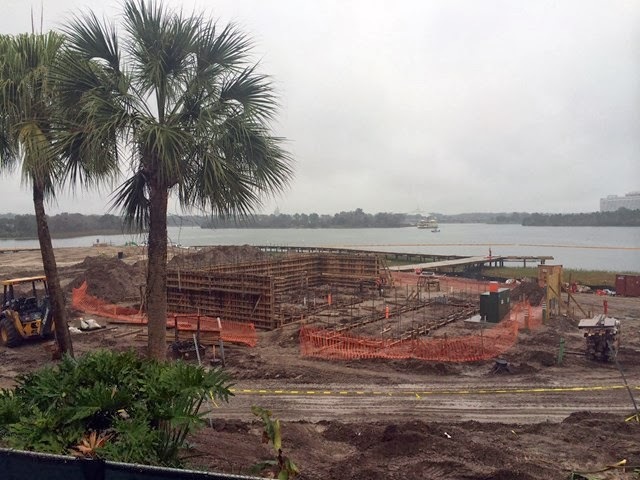 The Villas at Disney's Polynesian Resort are now beginning to rise from the former beach area around Sunset Pointe. Disney has released very little information on the new development, other than an expected opening in 2015. Following a similar pattern to the other Disney Vacation Club additions, the Polynesian Resort will receive upgrades to existing restaurants, pool areas and lobby to accommodate the additional volume of guests. The Magic Kingdom's new parade is just over a month away, and Disney is sharing more and more about what we can expect. Here is the latest press release in full, giving all the details on the parades larger than life floats. A fire-breathing dragon… a pirate ship with smoking cannons… a music box that’s a seashell… sassy Bubble Girls with cotton-candy hair… a mega-sized bagpipe. The media also got a preview of the floats and costumes which can be seen in the video below. 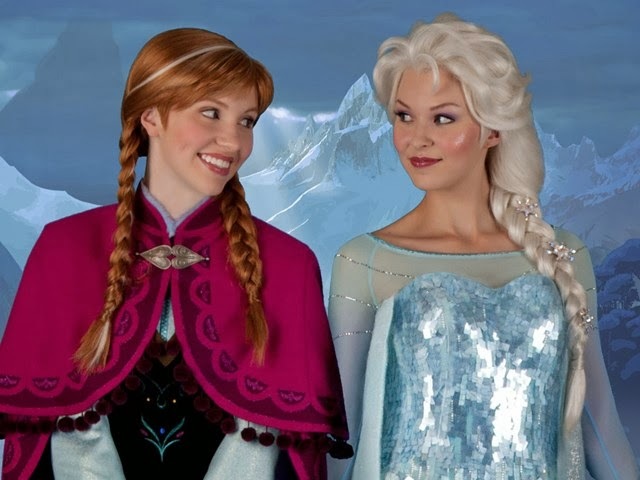 Good news for Frozen fans - Disney has today confirmed that the Frozen meet and greet with Anna and Elsa will continue to operate for "the foreseeable future." The meet and greet currently operates from 9:00 AM to 6:00 PM daily at the Norway Pavilion, and was previously only scheduled to operate through until mid-February 2014. A significant update to the My Disney Experience app is now available for Apple's iOS users. The new version 2.0 of 'My Disney Experience' has a new look and feel, with a new homepage showing your day's plans, improved navigation, and is overall much quicker to use. The update is available in the App Store. 'My Disney Experience' powers nearly all aspects of a Disney trip, including reservations, and FastPass+. During the last year of use, the app has not been well received by most users on discussion forums due to poor performance. In brief testing, the performance improvement is very noticeable. Moving between wait times at all four parks is much quicker than before. An Android update is planned for later in the year. The Transportation and Ticket Center is undergoing a significant upgrade with the addition of a second ferry boat dock. Remember the much talked about structure that could be seen from the monorail near to the Grand Floridian? This is that structure, and it is now clear that this is a new dock which will serve as a second loading dock for the Magic Kingdom's Ferry boat service. The new dock will allow simultaneous load and unload of two ferry boats at the same time, which should dramatically improve the efficiency of the service. The first of the new restaurants, 'The Boat House,' at Disney Springs 'The Landing' is now under construction with markers indicating its footprint in the water. Piling construction in the water will be underway soon. The 22,000 sq ft restaurant attraction is on the land that was cleared originally for Hyperion Wharf on the waterside between Raglan Road and Paradiso 37.